Coming into force from July next year, the 2017 Railway Law (the Law), passed by the National Assembly in June, prescribes railway infrastructure planning, investment, construction, protection, management, maintenance and development. It also stipulates railway industry and railway business. 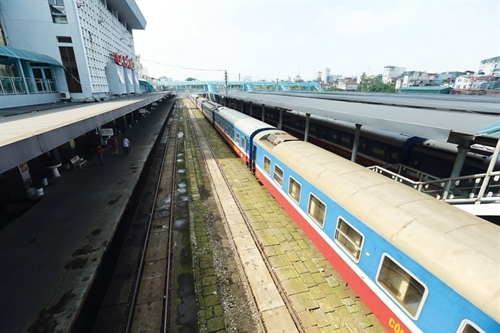 Domestic and foreign organizations and individuals involved in railway activities in the Vietnamese territory fall within the scope of regulation of the Law. Compared to the Railway Law enacted 12 years ago, the Law has many new provisions. State policies on railway development are introduced in Article 5, covering investment in railway infrastructure, railway business, railway industry, and development of specialized railways. To enable railway transport to play a key role in the national transport system, the State will prioritize and concentrate resources on investment in the development, upgrading, maintenance and protection of national and urban railway infrastructure facilities. It will also reserve planned land areas for the development of railway infrastructure and industrial works. Particularly, priority will be given to the development of national railway infrastructure under planning through the allocation of appropriate central budget funds under medium-term and annual public investment plans. The Law underlines that the State will encourage, support, create conditions for, and protect lawful rights and interests of, domestic and foreign organizations and individuals investing and doing business in railway transport. Organizations and individuals will also be encouraged to invest in the development of specialized railway systems. One among the principles set forth in the Law is that the State will guarantee healthy and fair competition among organizations and individuals of all economic sectors engaged in railway business as well as separate the state management function of state agencies from business activities of enterprises, and railway infrastructure business from transport business on state-invested railways. Under the Law, railway infrastructure business, railway transport business, urban railway business and railway industry are business lines eligible for investment incentives. - Exemption from import duty on machinery, equipment, spare parts, rolling stocks, raw materials and supplies used for manufacture of machinery and equipment or components, details, parts and accessories of machinery and equipment necessary for railway activities and supplies necessary for construction of railway infrastructure, which are not yet available at home. Investors in the construction of national railway and urban railway infrastructure may receive from the State whole funds for clearance of land areas reserved for railways. Railway infrastructure businesses will be given exclusive radio frequencies in service of railway transport administration and access to the traction power supply system in service of train operations. In addition, the State will help railway enterprises organize transport in order to perform special or social welfare tasks on the principle of fully offsetting reasonable expenses incurred by the enterprises. This is a fresh content of the Law. The Law devotes a separate chapter, Chapter VIII, to provide for general requirements, development policies, infrastructure requirements, management, operation and maintenance, and safety management of high-speed railways. This Chapter’s provisions constitute the first legal basis for investment in high-speed railways in the coming time. According to the Law, the State will play the leading role in construction investment, management, maintenance and operation of high-speed railways, focusing on development of high-speed railways linking key economic regions and boosting socio-economic growth.